I've loved preparing food and eating all my life. That's why my weight problems started at quite young age. I didn't have too many excess kilos, but I wasn't at healthy weight range either. When I was expecting my first child, I took "eating for two" literally and gained 30 kilos during my pregnanacy. When I went to labor, I weighed 100kg. 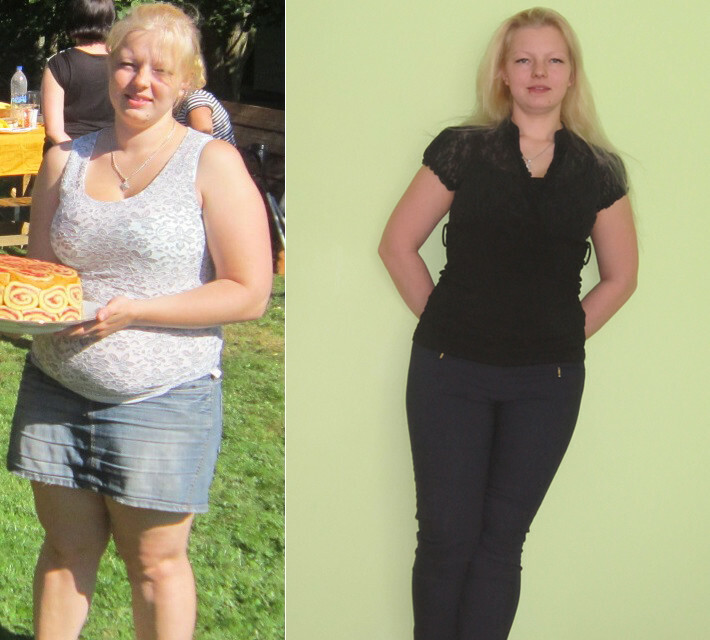 After giving birth about half of the weight disappeared, but eating more because of fatigue and other bad habits raised my weight back over 90kg. I tried different diets and online services for several years to get my weight under control, but never managed to achieve lasting results. In December 2013 I made a deal with a friend that we both would join Figure Friends and support each other on our weightloss journey. I started in January with Figure Friends online food logging diary - it gives an excellent overview what I have eaten during the day. Positive messages and support from others who are loosing weight gave me great motivation and I managed to loose 13,8kg in 6 months. Then I found out that I was expecting my second child and decided to make a pause, but continue with Figure Friends as soon as possible. At the same time, I didn't return to my bad habits - I ate lot less and healthier than during my first pregancy. And I gained only 10kg! I started following Figure Friends program again in September 2015 when my weight was at 94,5kg. Thanks to my child who keeps me constantly on the move, and Figure Friends food logging program, I have lost 13,2kg in 5 months. During my time with Figure Friends I've realised that my journey is not about getting slim for a short period of time, but a change in lifestyle. I don't have to give up anything, but I have to review critically what I put in my mouth. As I prepare meals for my whole family, not separately for me, all our eating habits have changed and our meals are more colorful and various. Drinking enough water was a challenge for me at first, I had to remind myself, but now I feel bad when I haven't had a drink in a while. Although I have a long way to go until I reach my goal weight, I feel better and happier every day that passes and I have more energy to spend quality time with my family.